Terroir : Selection a fenced plot of clay – limestone – rocky. Vinification : After a total de-stemming, directly pressed. the fermentation period is during for a period of 5 weeks at low temperature in two, second wine’s “demi-muids”. Aging : 2 oak barrels of 500 liters, called “demi-muids”, for 9 months. Tasting : This viognier cuvée has a pale yellow color with golden highlights. 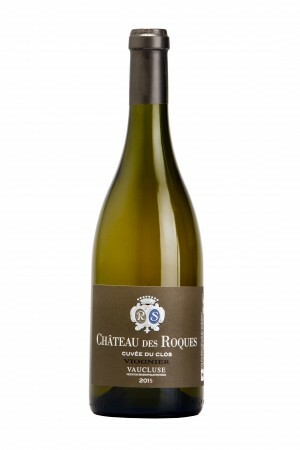 Its nose is very expressive with yellow fruits : peaches , apricots, pear and cinnamon with a slightly smoky note. Its mouth is ample, supported by a good freshness. Its aftertaste is long on the palate, with yellow fruits and roasted notes. Alliances dishes : Chicken with morels – Grilled lobster. Laying down : Drink now untill 2020.